This empowering musical tells the story of a group of “newsies” who stand up to unjust publishing giants as they strike against unfair working conditions. Like all Rosetown shows, this production will have exciting roles for all ages with fun dancing, singing, and acting for folks of all experience and abilities! 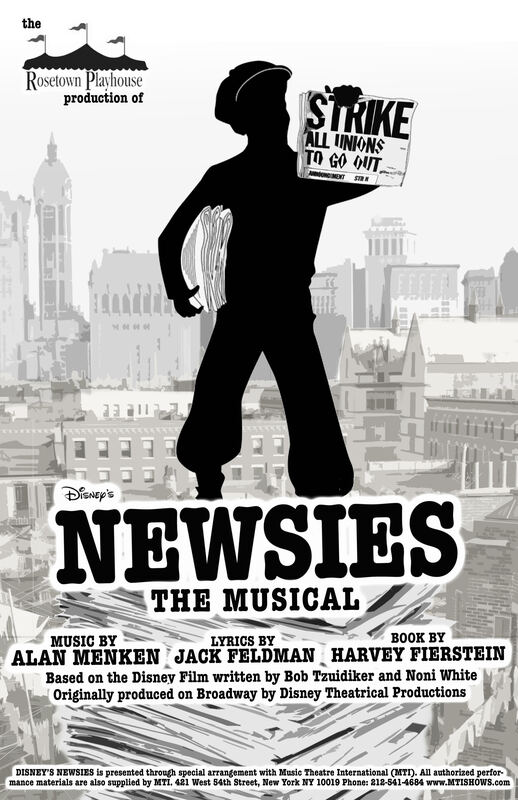 Newsies won't just be teens, and they certainly won't just be boys! Performances will be July 5-7 and 11-14 at the beautiful Como Pavilion. Auditions will be April 29 and April 30 from 6:15-9:00pm at Roseville Area Middle School. Get all the info you need on the show and auditions on our audition website and fill out your audition form online!